With a few exceptions, these have been industry specific awards for websites, social media and digital strategy. In fact, only when I have won for this blog has it been against those in different sectors to myself. The success we saw for our 'Shaping Your World' campaign late last year spurred us on to look at mixing it up with the big boys! 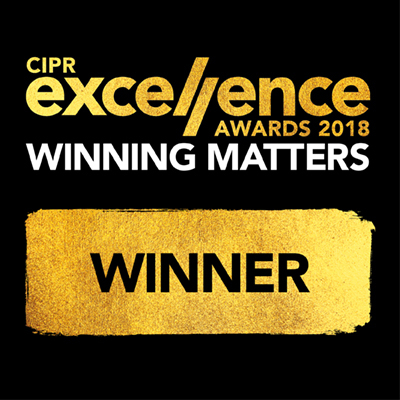 We felt it was time to put together some impressive entries to evidence our credentials at the CIPR Excellence Awards 2018. Now in their 34th consecutive year, these are the PR industry's most prestigious celebration of creativity and professionalism. We spent a lot of time deliberating over which categories to enter. 'Best Construction, Property or Infrastructure Campaign' seemed an easy fit but we also liked the look of the new category for 2018 'Best Use of Content'. So, last Wednesday, we headed into London (with no help from the recently 'revised' train timetable) to attend the ceremony. This was held at the The Artillery Garden at the HAC. A very impressive venue indeed with a funfair, drinks reception, photo booth, candy floss machine and unlimited pick and mix. The night had started well! We took our seats and started biting our nails in anticipation. 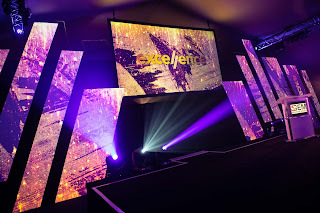 The upbeat atmosphere was enough to keep us entertained until our categories were announced. And then we won. In BOTH categories for which we were shortlisted! The only drawback was that we were immediately thrust into the limelight (literally) to be video interviewed. After two hours in a darkened room it's quite disconcerting to suddenly have a camera light shined into your face! Of course, this was an absolutely brilliant night of celebration and the culmination of nine months of intense work in getting 'Shaping Your World' launched. This campaign, as I've mentioned before, was so complex to devise and put in place. We continue to hold regular meetings to assess where we can grow it further and to assess performance. The key element to it's success is the collaboration we've had across the business and beyond. There have been so many positive client conversations that I've lost count! Also, seeing the amount of times it pops up on social media at a school careers fair means we owe a debt to colleagues in continuing to spread the word. 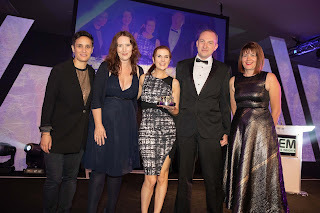 Being awarded best in class against our peers gives us fresh impetus to bring them on board to share the campaign far and wide. Only by working together can we make this a bigger success outside of the world of awards nights. There's a reason it wasn't heavily branded as Kier at the beginning! With every day at work being an unrelenting amount of work on our new website it's nice to take some time to focus on what we have delivered. Receiving our two shiny trophies definitely helps give me the fresh energy to see our latest project over the line.